The Gold Dipper Purse is one of those purses I've swooned over as a child. Watching beautiful women with kohl-laced eyes gliding through parties talking art, romance and politics reminds me of a bygone era waiting to resurface. 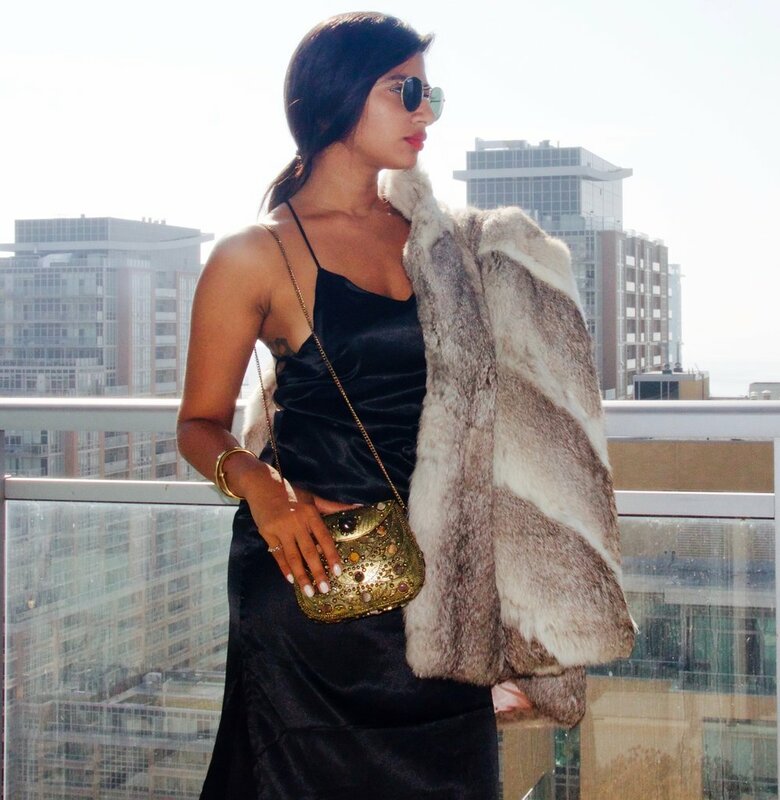 I paired my Gold Dipper Purse with a black satin slip dress and a fur jacket. The warm tones along with the brown stones on this purse make it a perfect candidate for warm and cold evenings out.